Holiday gatherings can be especially trying for the hearing impaired. Multiple conversations, music and laughter can combine into one indiscernible din. However, if you are hearing impaired, there are ways to improve hearing in noisy situations. Sit at a table with fewer than six people. The fewer the number of people, the easier it is to hear voices and conversation. Sit at a round table if possible, making it easier to see everyone’s faces. The ability to clearly see faces makes it easier to discern speech and read visual cues. Don’t sit facing the window or a light. Any back lighting will make it difficult to see the speaker’s face. If you wear a hearing aid with a directional microphone, try sitting in different settings to see which makes it easier for the hearing aid to pick up and sort sound. For some people sitting with their back to a wall is most effective while for others sitting with their back to the noise works best. Tell people you are talking with that you have a hard time hearing in crowds. It may help. Ask them to speak up or speak more slowly. Surprisingly, many people have difficulty hearing in large gatherings, so you are apt to be met with understanding. If the holiday party is being held in a restaurant, don’t try to carry on a conversation near the bar or the entrance to the restaurant. Those are two of the noisiest locations. Stake out a place at a quiet table and people will come to sit with you to chat. Most importantly, don’t hesitate to go to another room to give yourself a break. Listening can be tiring and finding relief can make it easier to get through the party and avoid fatigue. The good news is that many hearing aids are designed to help wearers sort sound in noisy environments. Directional microphones make it possible to selectively hear sounds coming only from the front of the user. This eliminates background noise and makes it easier to focus on the conversation with the person who is speaking.  Digital signal processing hearing aids employ technology that sorts speech from noise such as the Oticon Opn which scans your surroundings 100x per second, analyzing and following the dynamics of the soundscape, differentiating between speech and noise. 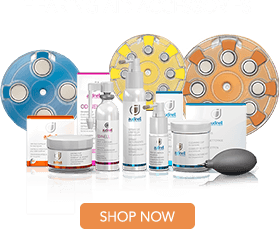 Some individuals find this type of hearing aid helpful because of the noise reduction features.